A few weeks ago, I went to a fab event for the new launches from make-up brand By Terry. The range was created by the amazing Terry de Gunzburg, the woman who created the infamous YSL Touche Éclat, but this event was to celebrate the launch of the Light-Expert Click Brush. This is my first venture into the world that is By Terry, so I was quite excited. The Light-Expert Click Brush is totally brilliant. I wasn't too sure whether or not it was going to be my thing until I got the opportunity to test and try it at the event, the second I did that, I loved it and wanted it. The Light-Expert Click brush is one of those clever little items that can do more than one job, it is a proper little multi-tasker and can be used as a foundation, for contouring, for illuminating and to freshen up to your make-up as and when you feel the need! The whole concept is to make the application of make up simple and effective to achieve that radiant and flawless look. The technology behind Light-Expert called 'Intensive Mimetic Camouflage' and it is used to conceal imperfections and give a flawless base, whilst light prisms give radiance and it is suitable for all skin-types. 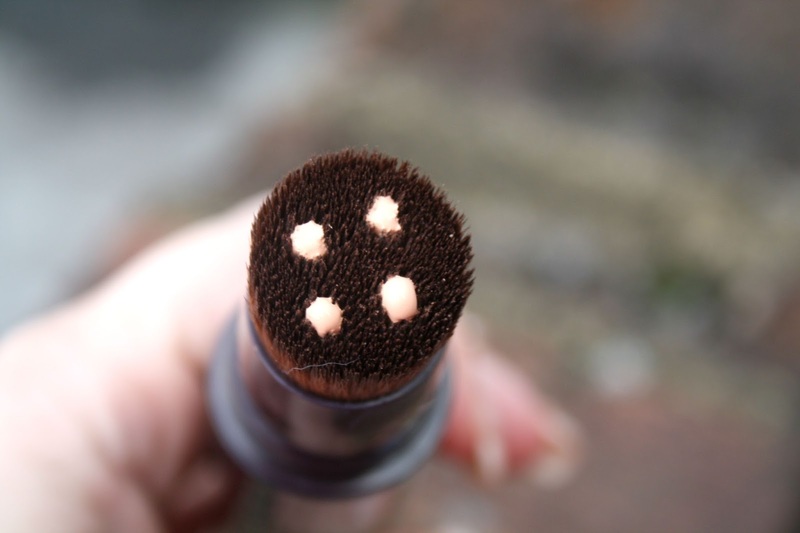 The kabuki brush is short, incredibly soft and gives amazing coverage. Designed at an angle, the brush works to adapt to all facial forms and it is also removable to enable washing. One click at the bottom of the brush, very Touche Éclat, and the fluid is released in four dots, this is said to give an ideal measurement for the ultimate application and since using it, I have never had to click more than once to cover the entirety of my face. The fluid itself is really lightweight, so much so you don't even known it is there and it blends so effortlessly and looks so natural, I absolutely love it. There are six shades currently available with No.1 Rosy Light being the lightest and No.11 Amber brown being the darkest shade. 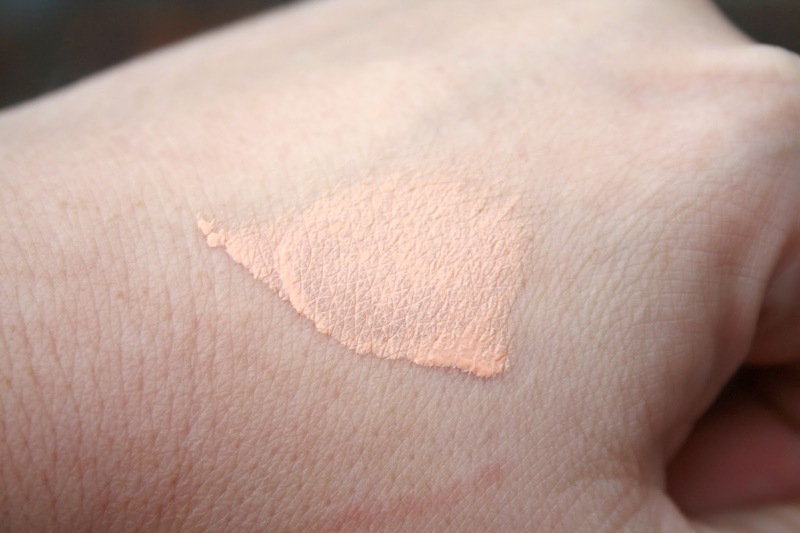 I was one of the lightest called Apricot Light and it is a perfect match for my skin tone. Aside from the texture, which I absolutely love and how easy it is to use, blend and wear, I love how much coverage it gives with minimal effort. 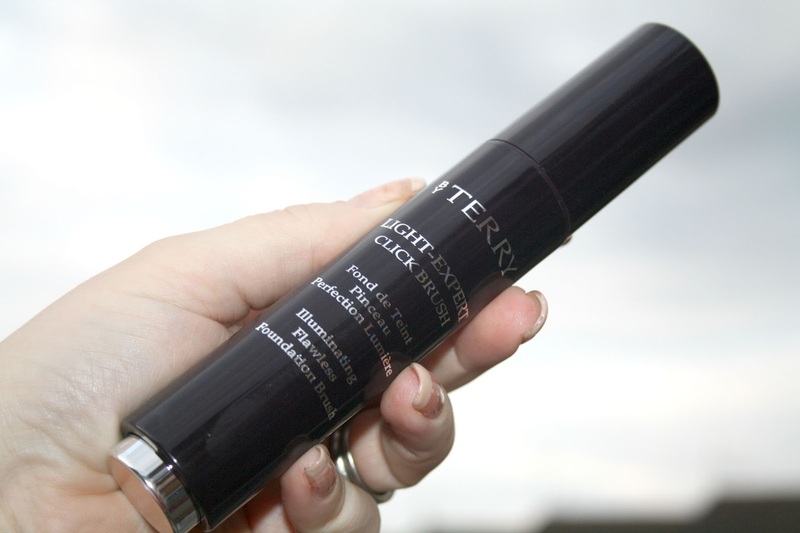 I have redness on both cheeks, it tends to flare up when I am stressed (regularly) and whilst it doesn't hurt and isn't itchy, it does make me self-conscious at times, Light-Expert does an amazing job at covering it over so that I forget about it which therefore makes it amazing and I can imagine it will become a very popular item to have. It has just launched at SpaceNK and for the 19.5ml it costs £48 which I would be more than happy to pay when mine runs out. For me, this is a handbag keeper! This brush looks great. I would love to try it out. I've never used a brush with liquid foundation but I'm going to give it a try now. Thanks for posting. I'm a big by terry fan so I'm sure I would love this. It looks quite similar to the YSL perfect touch foundation. Never seen anything like this before but it looks so much easier to use than tubes of foundation which either gets over your hands or needs cotton wool balls. Think I will have to give it a go. 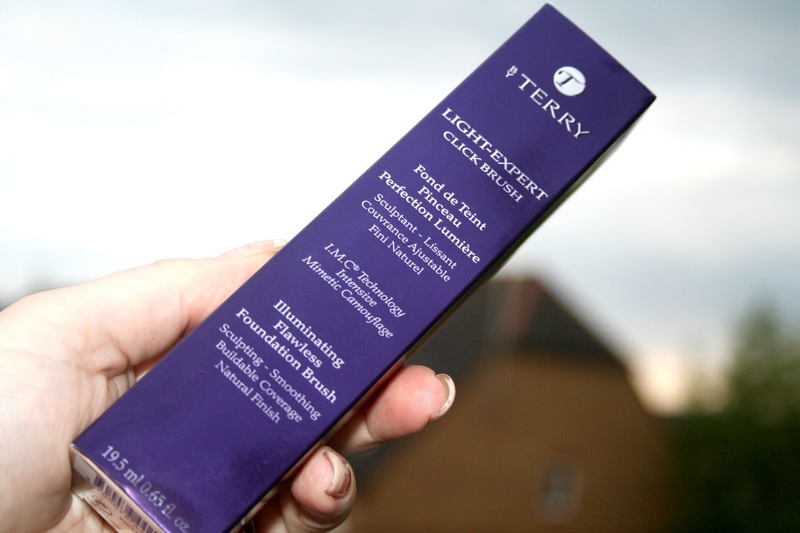 I had no idea TERRY was made by the woman behind Touche éclat! I have a Terry mascara at home that I got in a subscription box but I'd never heard of the brand before so I was dubious. This foundation brush looks a lot cleaner than other foundation applicators so might give it a try! Ohh I totally just thought this was going to be about a brush, not an actually make up product haha. Loving the look of this. Very interesting. Looks really handy and great however I always end up having trouble with products like these. This is such a genius idea, it would fit perfectly into my handbag! This looks amazing - I think I may need to invest in some. The brush really does look so very soft. I have never tried this brand, but have always wanted to! This product sounds lovely! Looks like the perfect thing to have in my handbag. I like the idea of it. The product sounds great. I haven't actually tried the brand before but will look out for it the next time I'm buying some new bits. This looks like an amazing product, I would love to try this brand in the future. I've only just started applying foundation with a brush instead of my fingers (I know) and it does make a lot of difference so I would love to try a product like this - love hoe it is a concealer, foundation and highlighter in one. OMG! I love this idea - off to see if they have it in my shade! I need to find this immediately I have so many skin imperfections so I would love to see if it gives me more coverage! I'm currently using maybelline new York foundation. Oh I love products like that where you have to click for the products to come out. 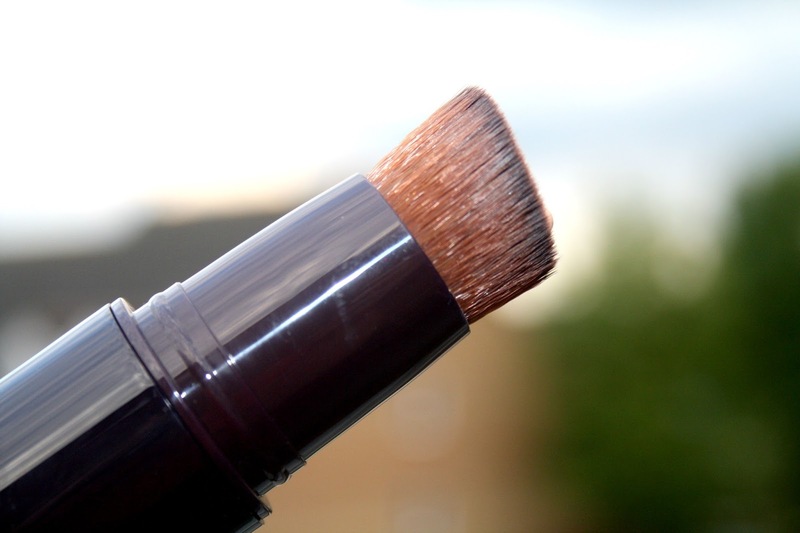 I like that it stops you using too much product and is easy to blend with the brush. Slightly embarrassed to admit I didn't know you were supposed to use a brush to put on foundation! Sounds like a great product so you always use the right amount. This sounds lovely and the brush looks fab - I really like that you can remove it to wash it, too! It sounds a lot of money for how much product you get, though - I wonder if they'll do refills or anything like that? Sounds like a cute nifty little beauty gadget.